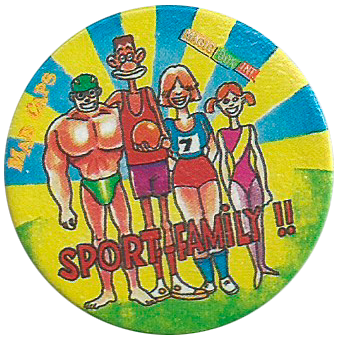 Info:Numbers 1-75 of this set all feature Sport related designs, typically involving combinations of 2 sports that don't go together. 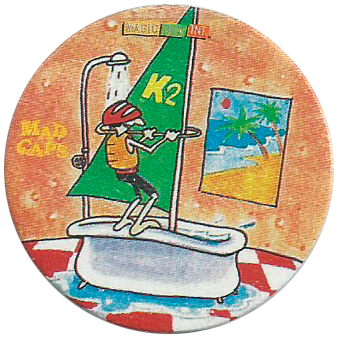 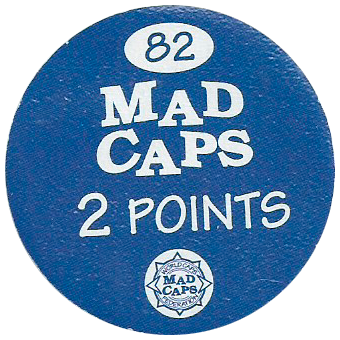 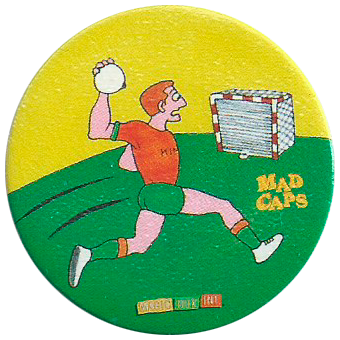 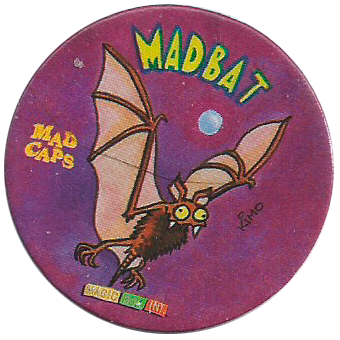 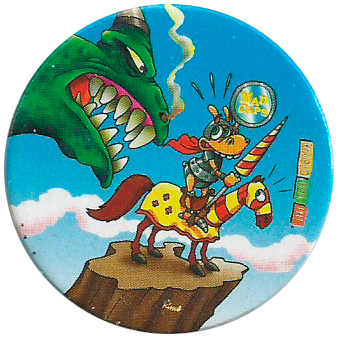 Numbers 76 - 120 mostly feature the same designs as 1-75 from the UK set of Mad Caps. 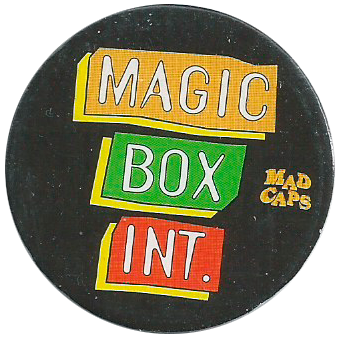 It appears that Magic Box Int. 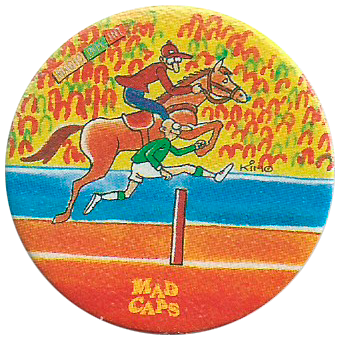 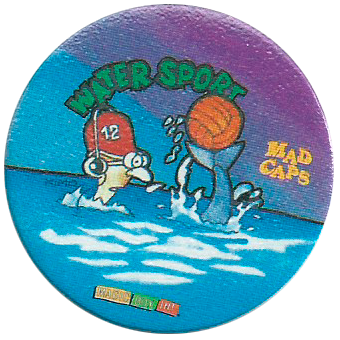 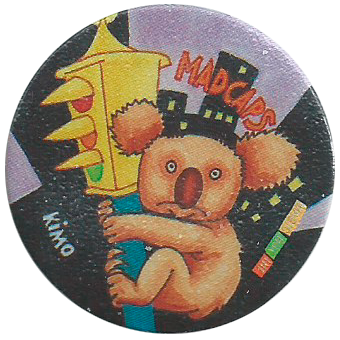 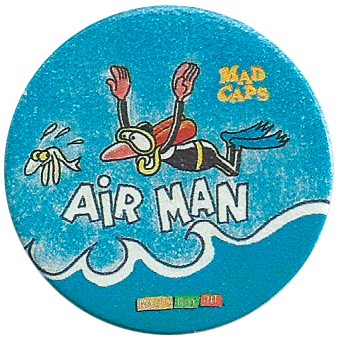 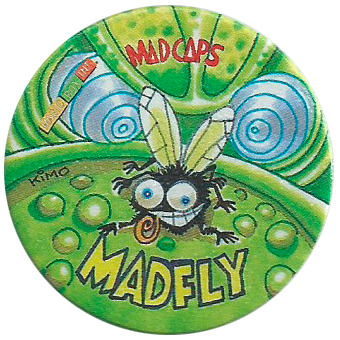 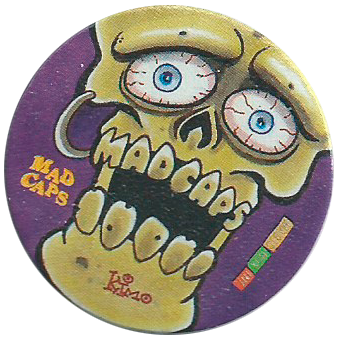 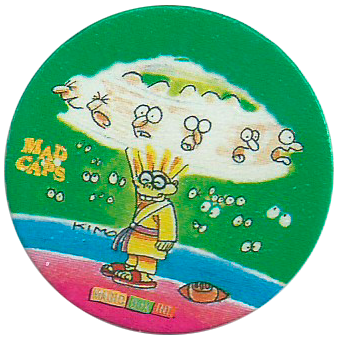 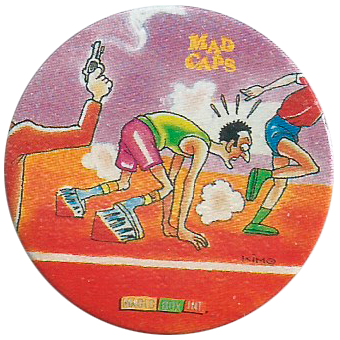 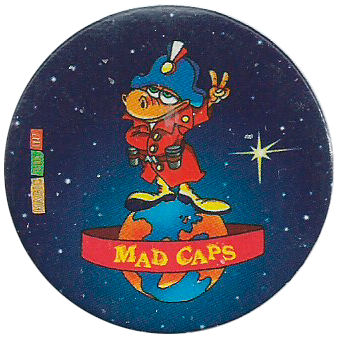 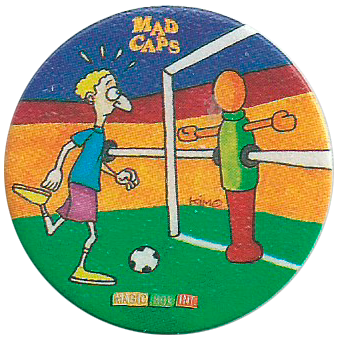 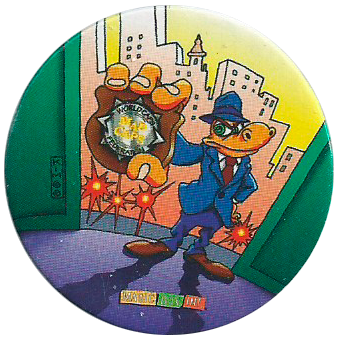 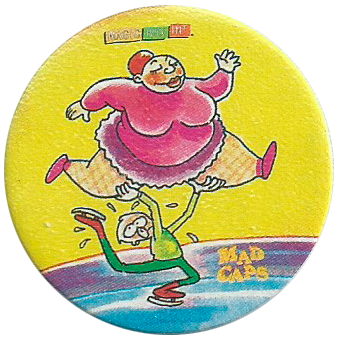 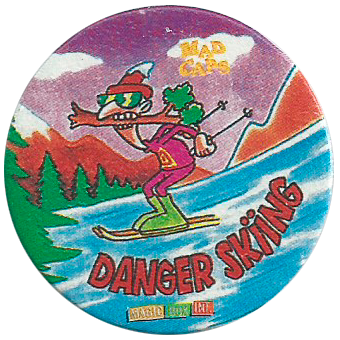 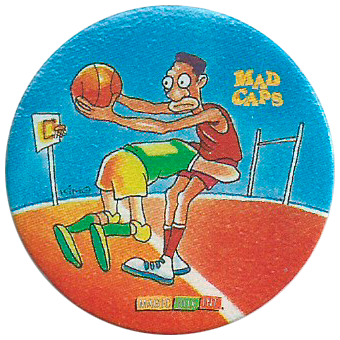 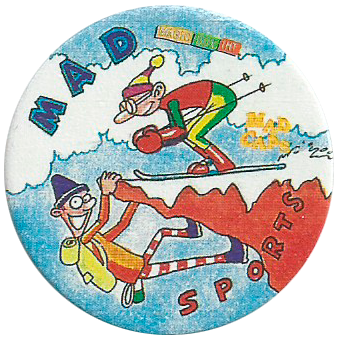 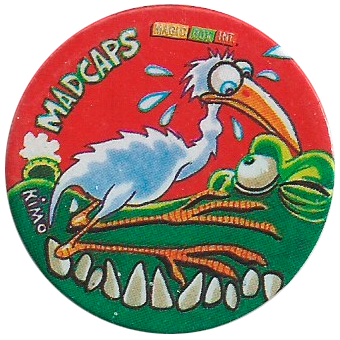 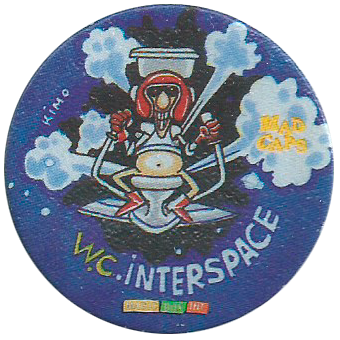 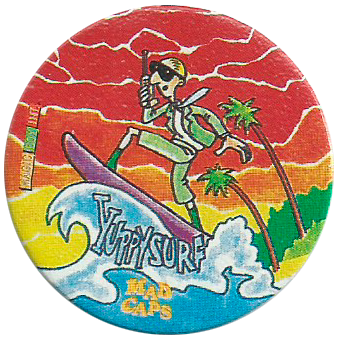 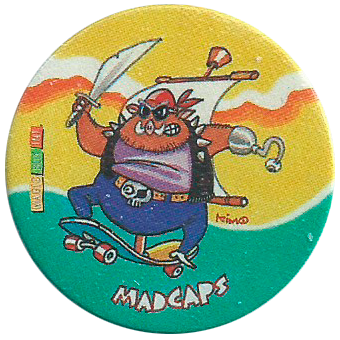 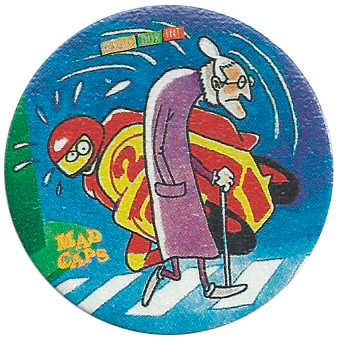 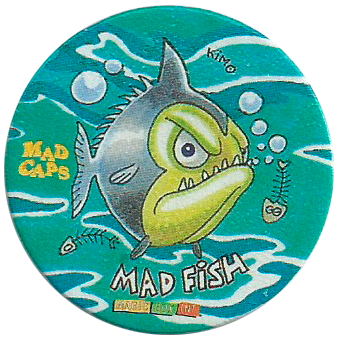 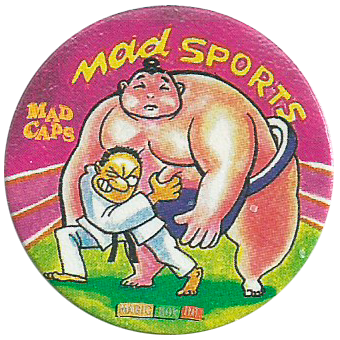 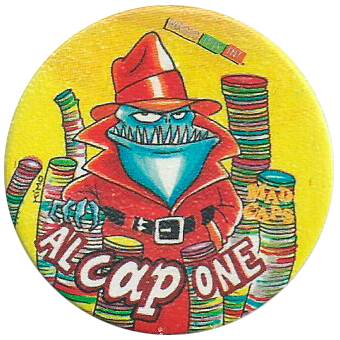 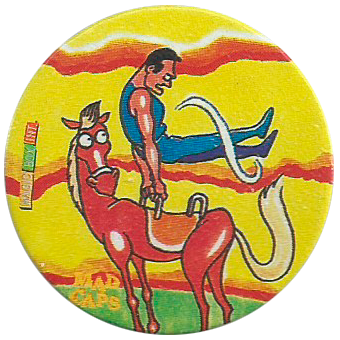 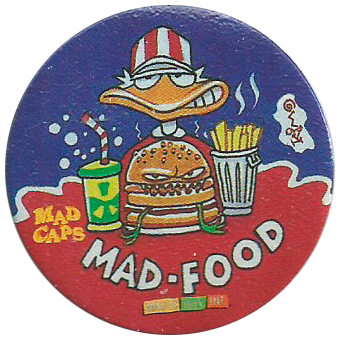 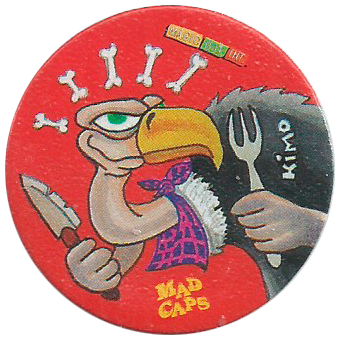 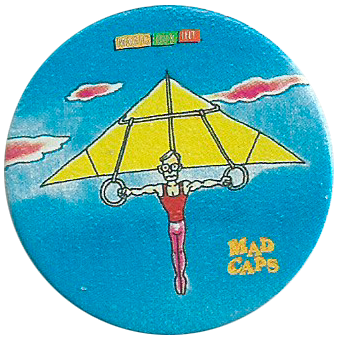 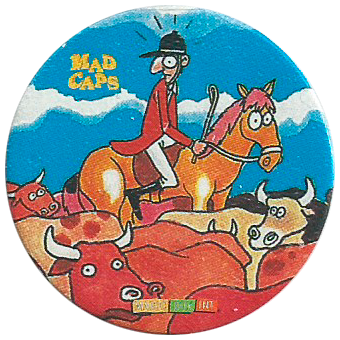 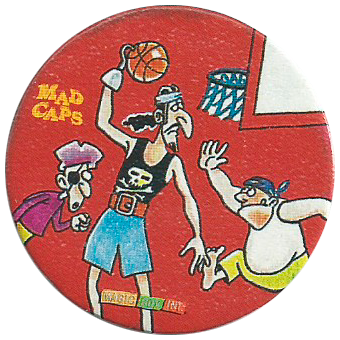 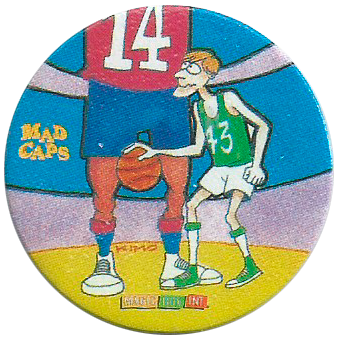 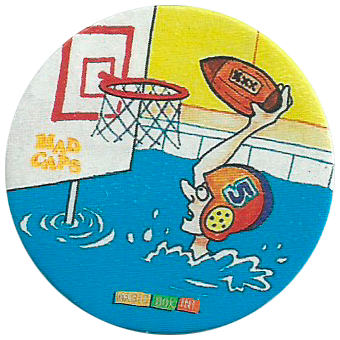 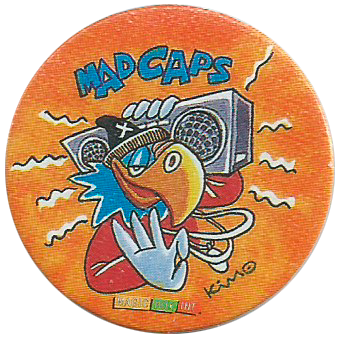 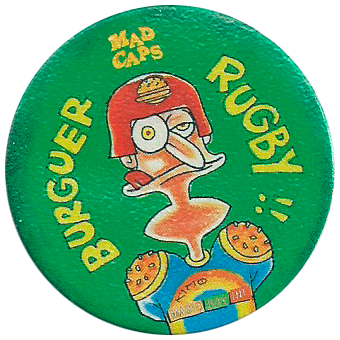 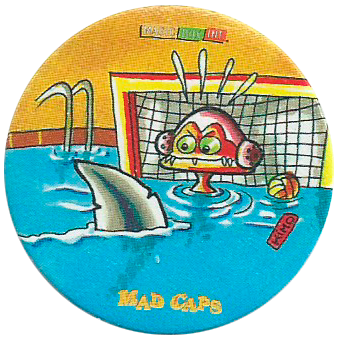 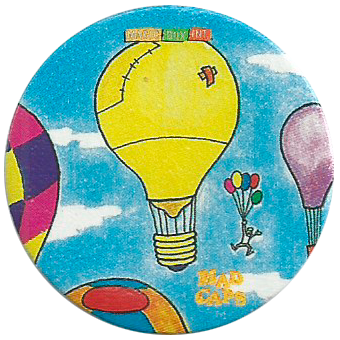 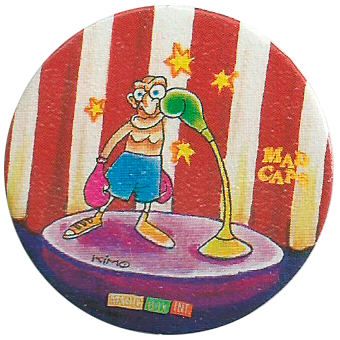 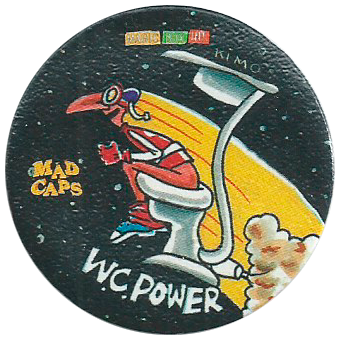 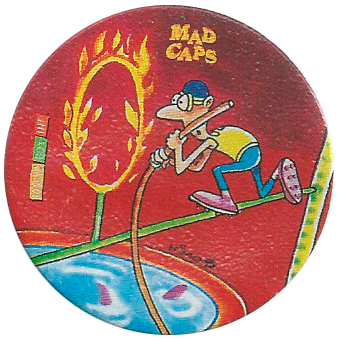 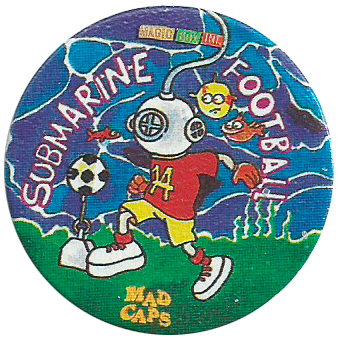 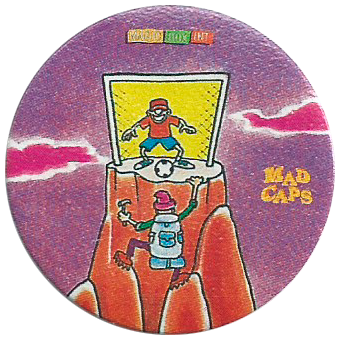 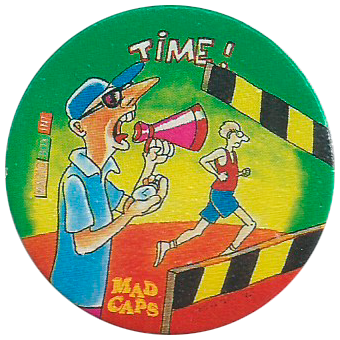 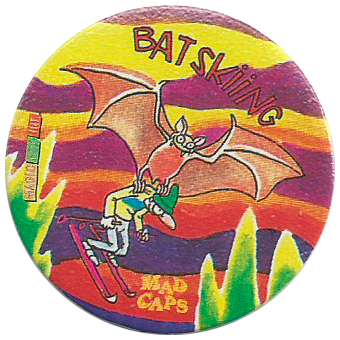 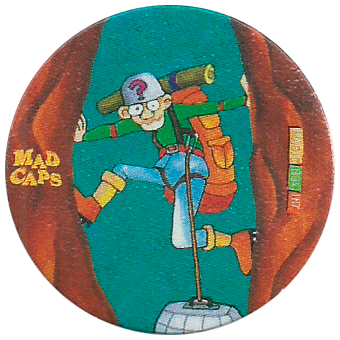 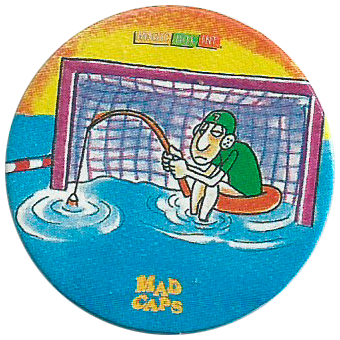 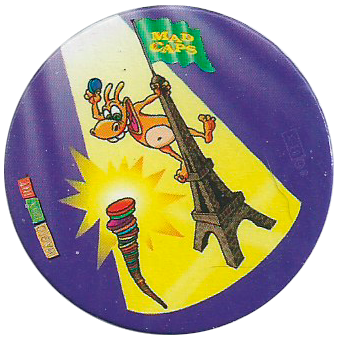 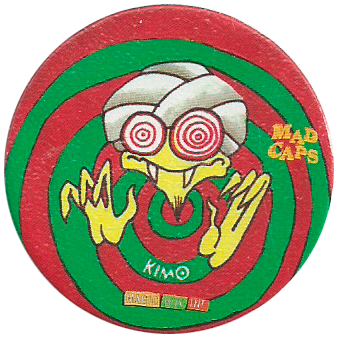 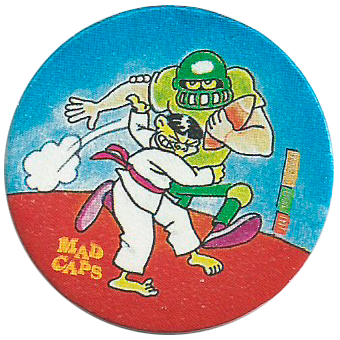 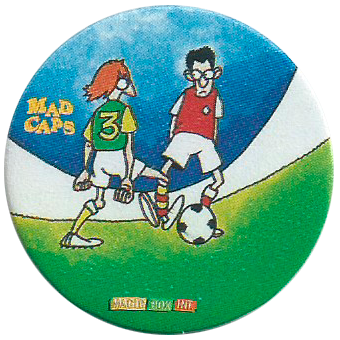 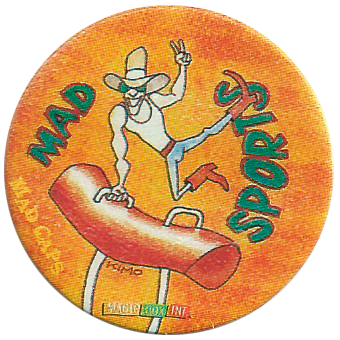 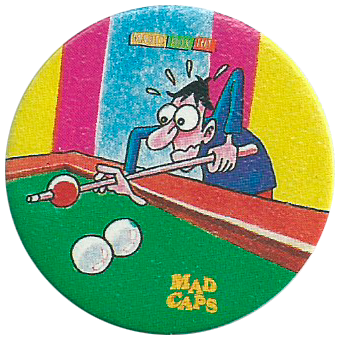 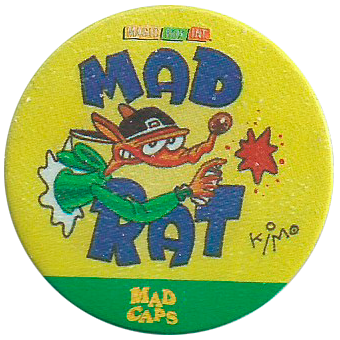 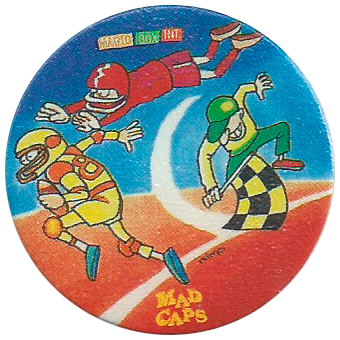 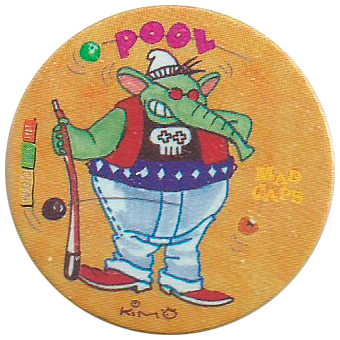 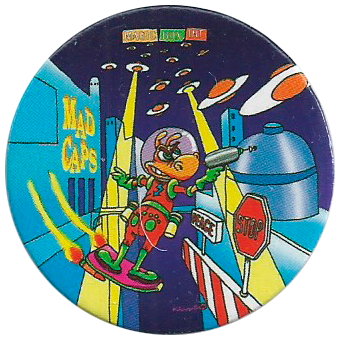 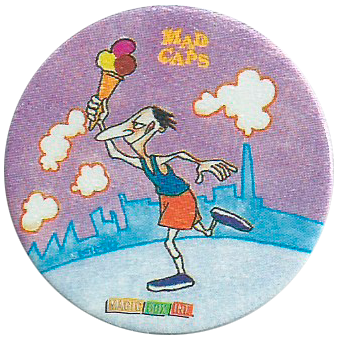 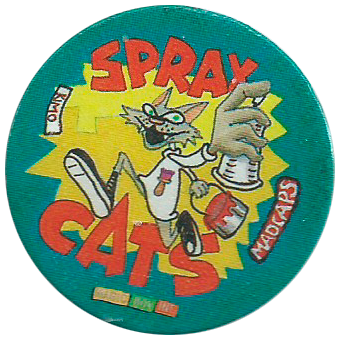 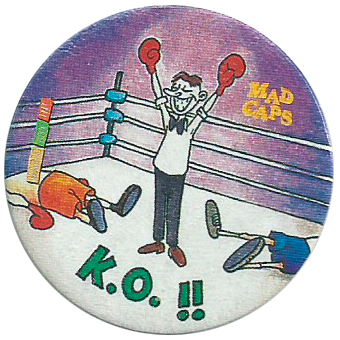 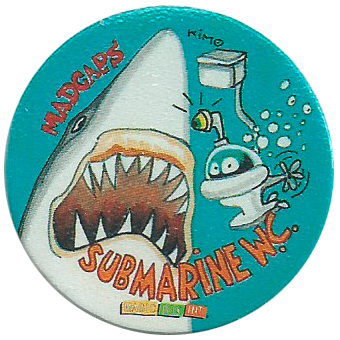 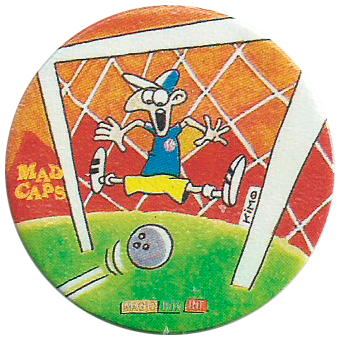 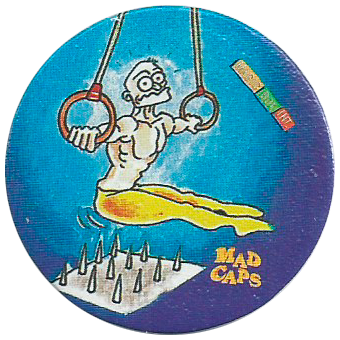 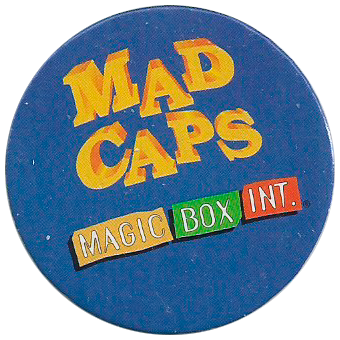 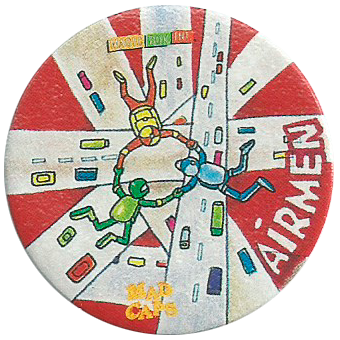 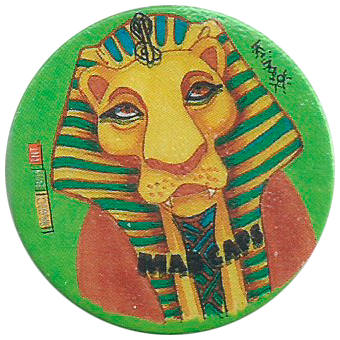 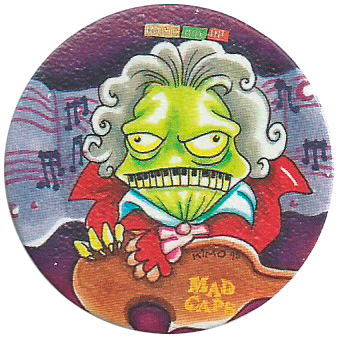 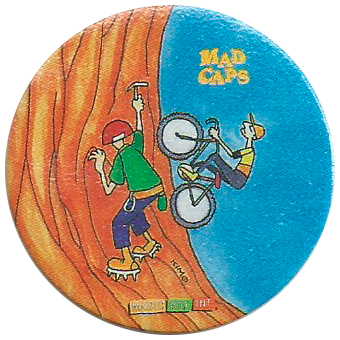 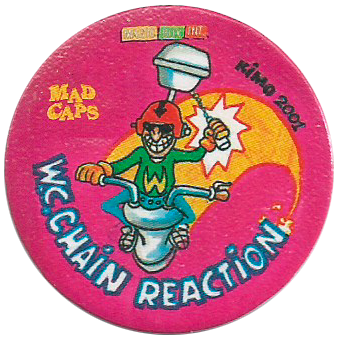 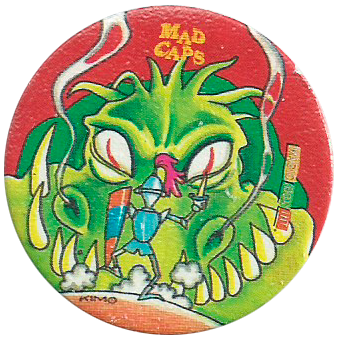 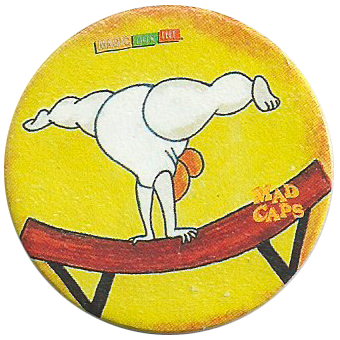 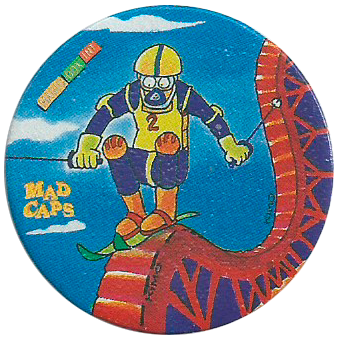 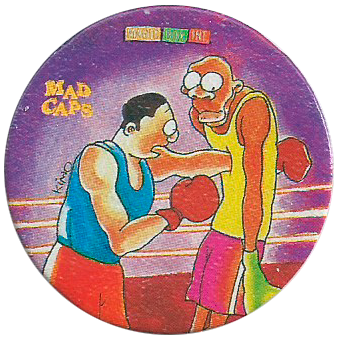 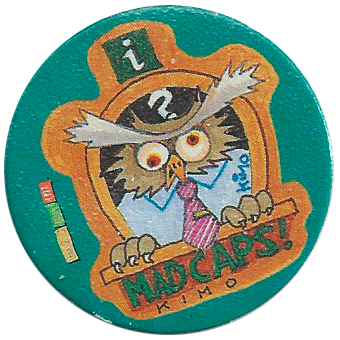 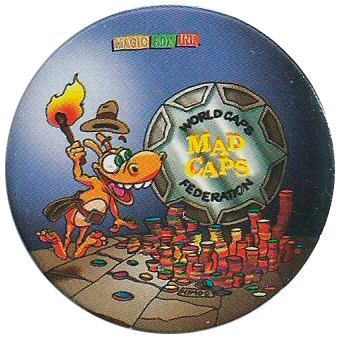 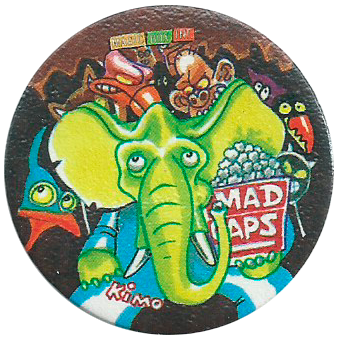 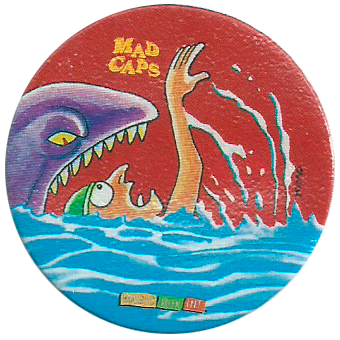 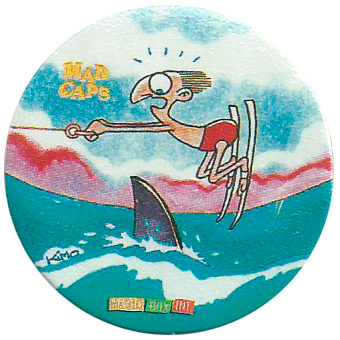 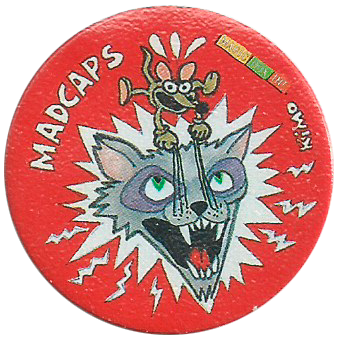 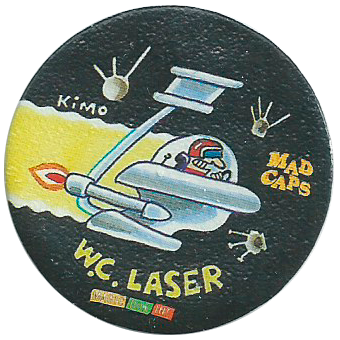 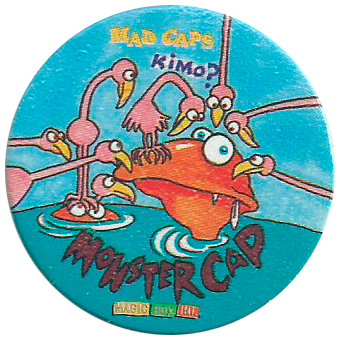 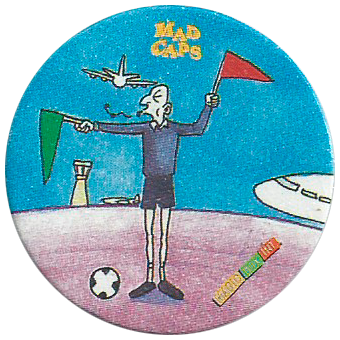 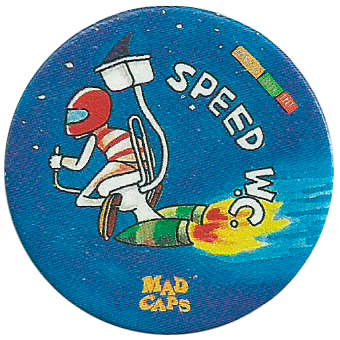 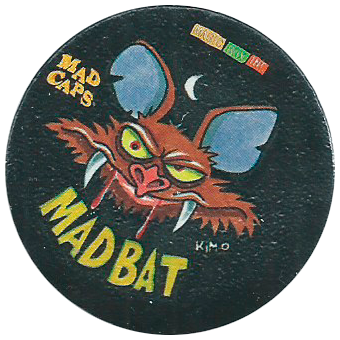 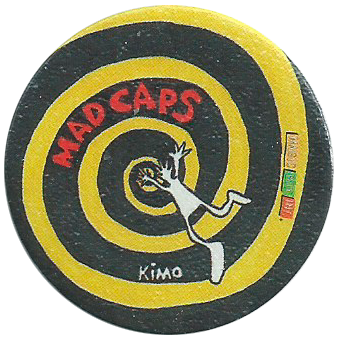 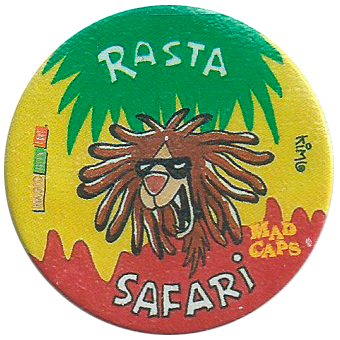 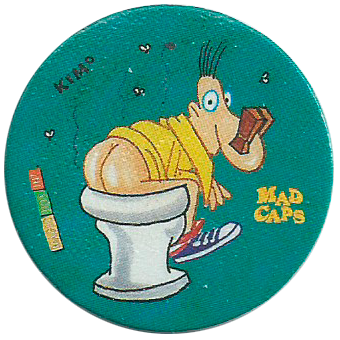 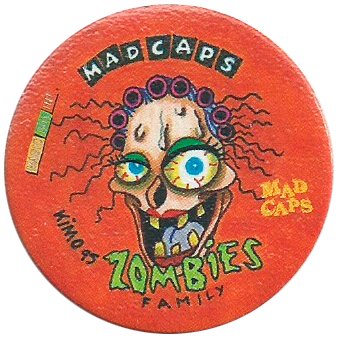 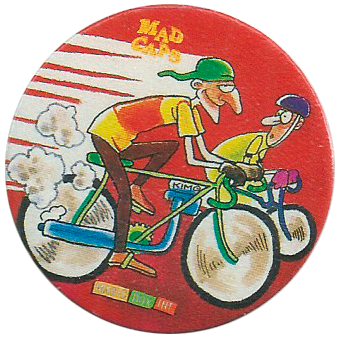 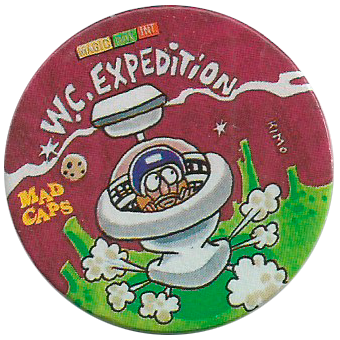 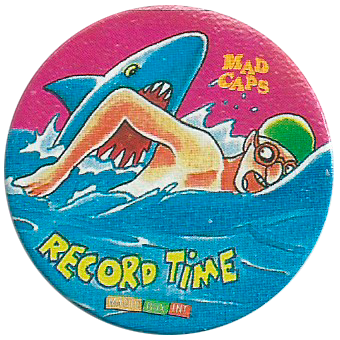 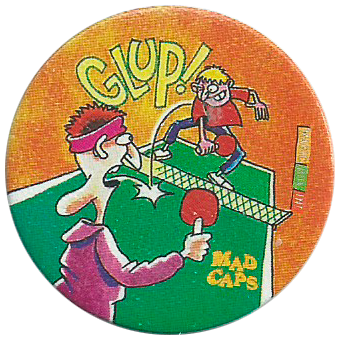 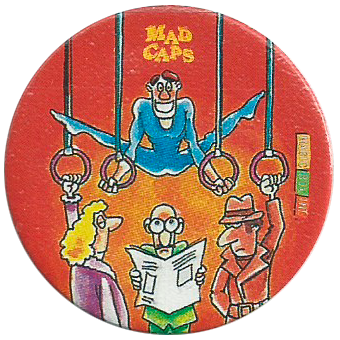 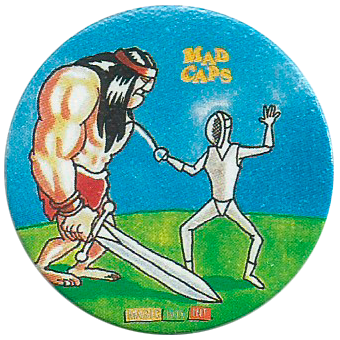 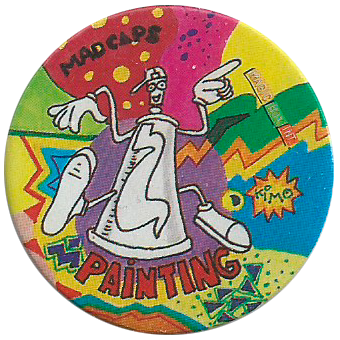 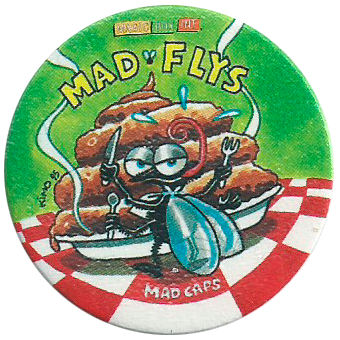 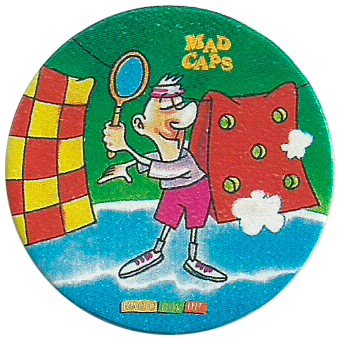 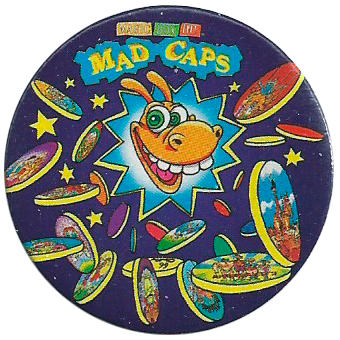 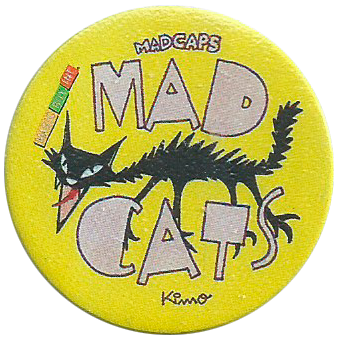 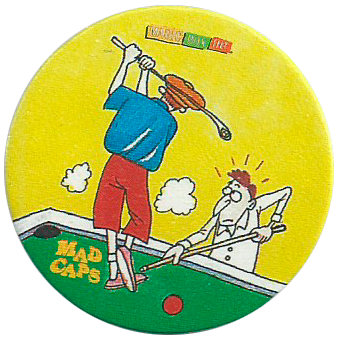 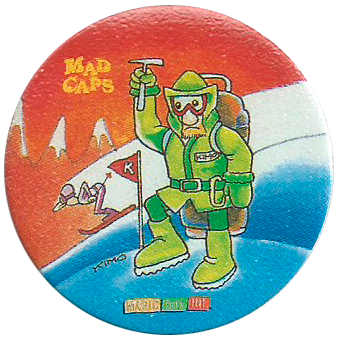 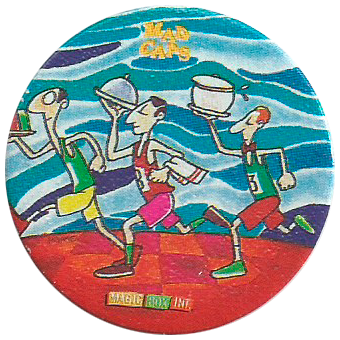 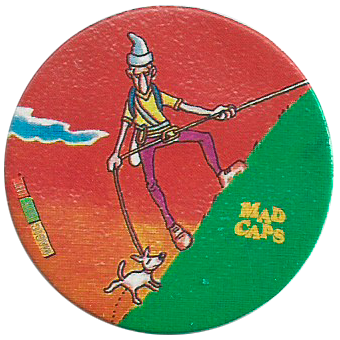 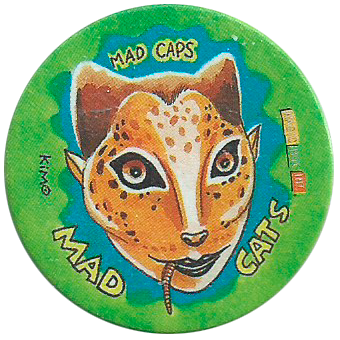 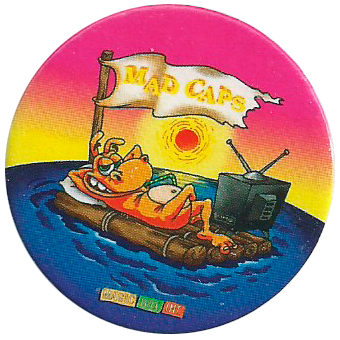 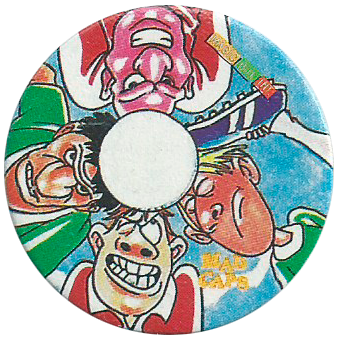 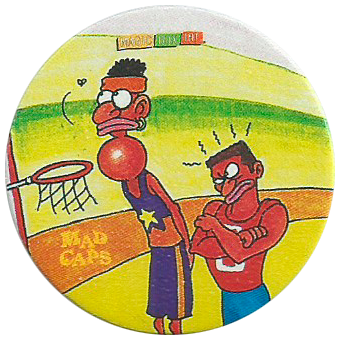 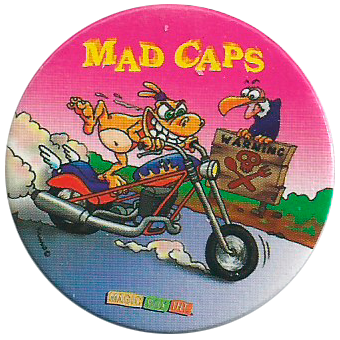 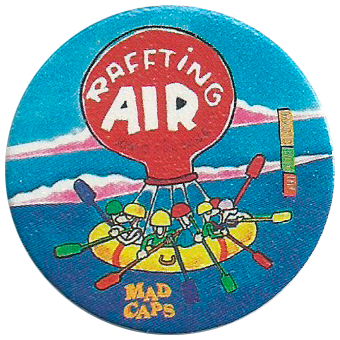 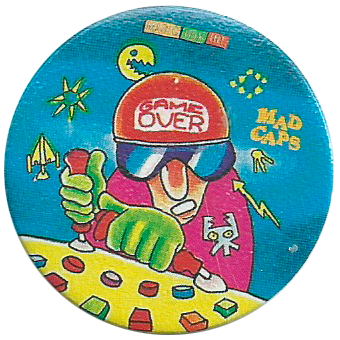 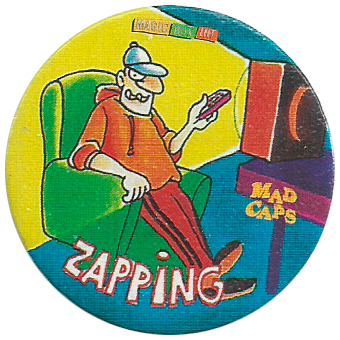 licensed the Mad Caps name and designs, plus commissioned some new designs for sale in the US market. 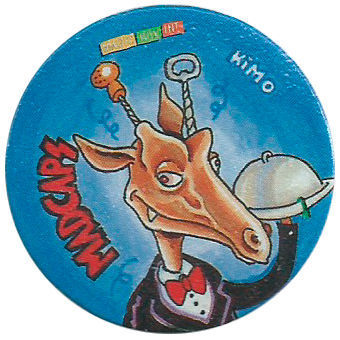 Thanks to Klaas for the scans of most of the set below. 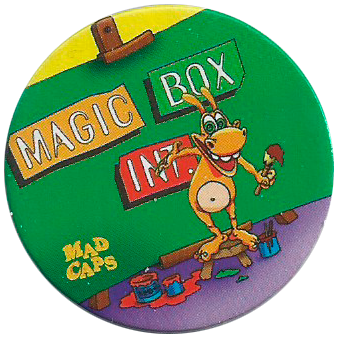 Country:United StatesYear of release:Produced by:Magic Box Int.